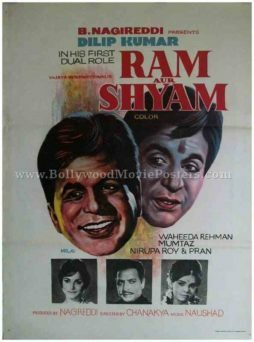 Beautiful old hand painted Bollywood movie poster of the blockbuster Hindi film Ram Aur Shyam (1967) for sale. 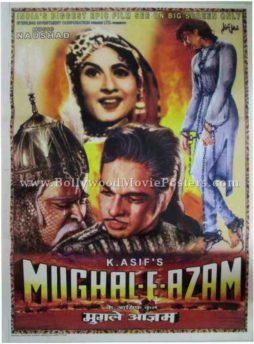 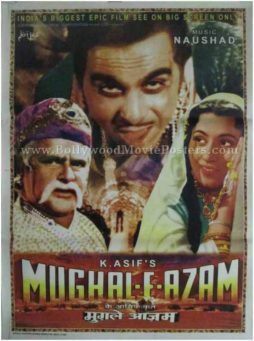 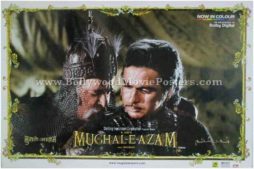 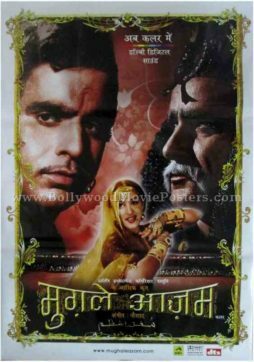 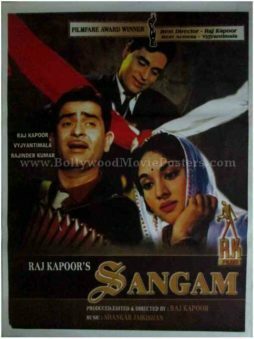 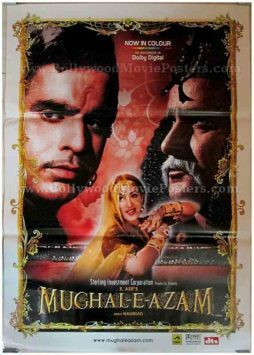 This is an actual surviving poster of the 1967 super hit that featured Dilip Kumar in a double role for the first time. 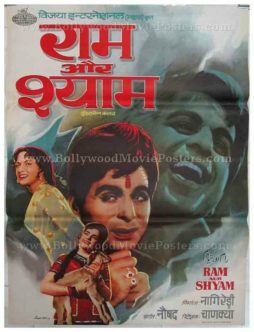 Considered as the greatest method actor in Indian cinema and often labeled as “tragedy king,” Dilip Kumar considers his double role performance in Ram Aur Shyam to be the most memorable in his entire career. 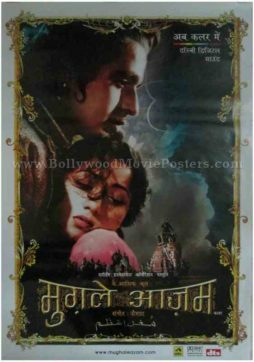 Printed and circulated during the screening of the film in the late 1960s, this hand painted vintage movie poster was originally designed for publicity of the film but never ended up being used. 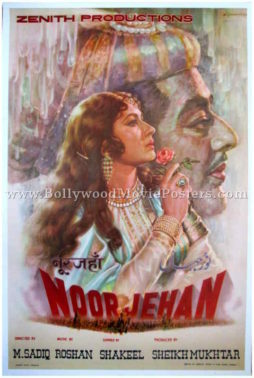 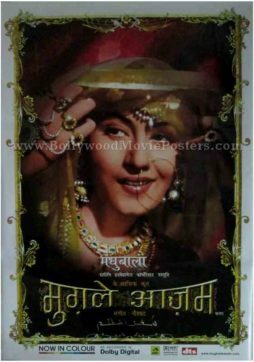 This old Bollywood poster was originally designed on a hand painted canvas in an art studio, making it very collectable.